I really like baking doughnuts because I can usually save some calories & fat from frying and splurge on the doughnut icing. I find that it’s usually the icing that makes the baked doughnut taste magnificent. But here…we have something different. 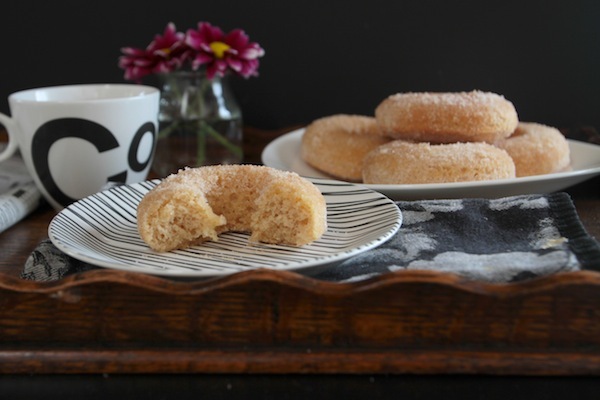 A cake based doughnut with just a cinnamon + sugar topping. Will it be as magnificent? You best believe! It might be the closest baked doughnut to a fried doughnut I’ve had. The cake part is imparted with flavor thanks to a combo of cinnamon & nutmeg. And that spongey dense texture? I die. I’m sure the cinnamon-sugar binder (butter) helps! I halved this recipe because….well…you know most people (namely ME) can’t be trusted with 12 cinnamon sugar doughnuts in their possession. Dry ingredients get mixed real quick. Stir to combine. Buttermilk, egg & vanilla. STIR. Wet is introduced to dry. 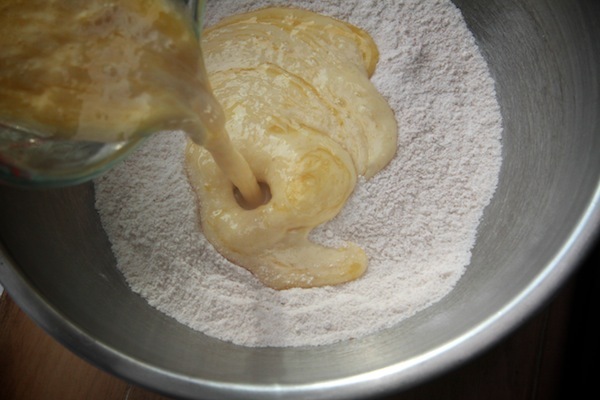 Batter goes into a prepared doughnut pan. Topping gets whipped up. 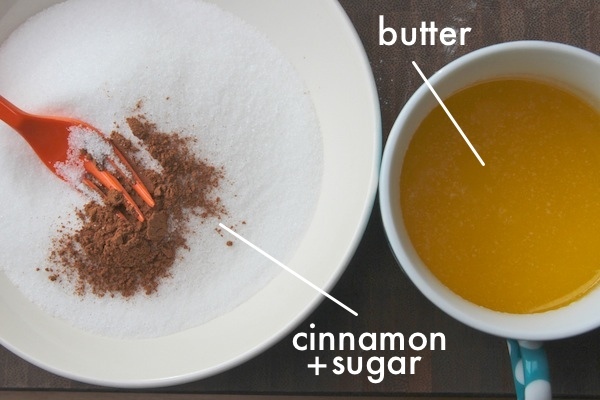 Melt butter, stir cinnamon in with sugar. Done did. Doughnuts are out of the oven. Let them cool for a few minutes. 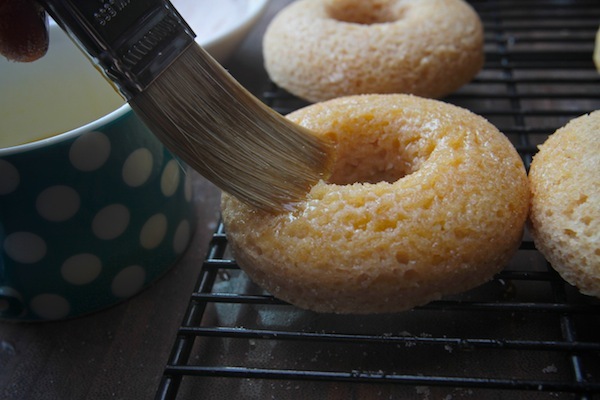 Brush the top of each doughnut and dip! Until you have 6 doughnuts. And before they even get plated, you have 5 1/2. This was designed to happen. 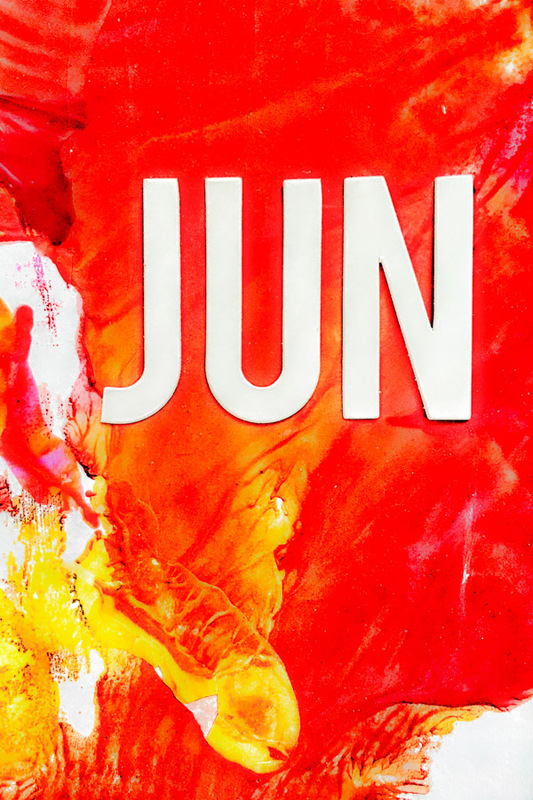 Now you’re ready to do a crossword puzzle, drink some coffee and…. EAT FIVE DOUGHNUTS. Just go with it. 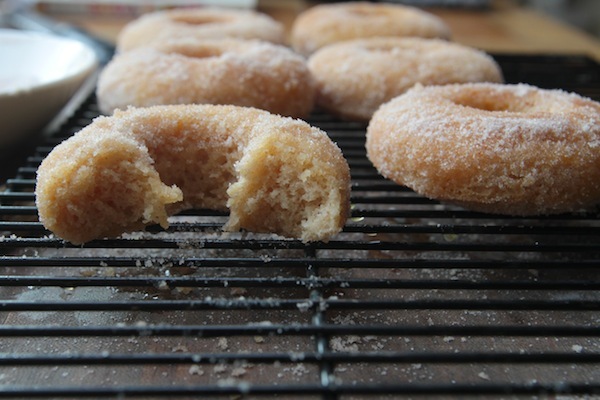 Oh, and if you want to make fried doughnuts you should check out my Farm stand Buttermilk Doughnut recipe. Amaze. These look zo yummy! I am nog a big fan of donuts, but these I am gonna to ma defenitly! Love cake 😉 Now I just have to find donut-mold! Love your blog, it’s my favourite one! I had the same problem, in the end I just went out and bought a set of measuring cups as there were too many yummy foods I was missing out on with this confusion! Ive been following a similar baked donut recipe for a few years now and always just glaze it. But now, I want to cinnamon-sugar it! I love cinn-sugar and anything brushed with butter! You’ve done it. You have finally broken down my willpower. I’m going to buy a doughnut pan and than I’m going to eat five doughnuts. 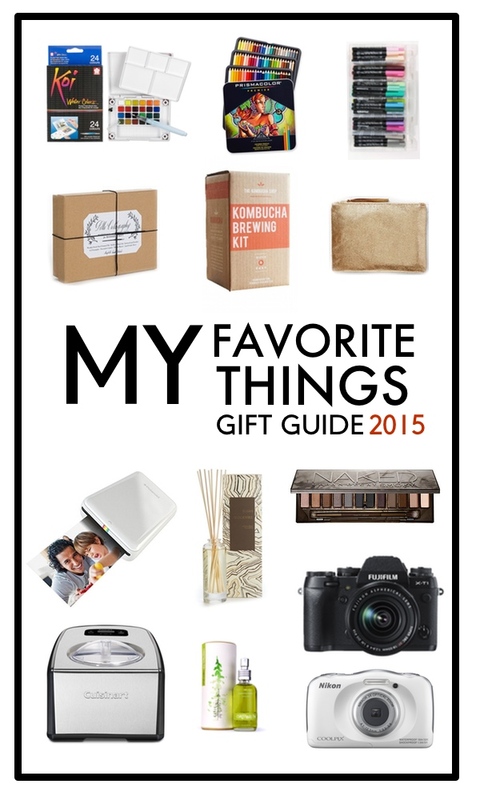 Do you have an Amazon affiliate program? If so, I’d like to make sure you get credit for my purchase! :) Thanks Shutterbean!! You totally just made me buy a doughnut pan. And I see that I’m not the only one. That cracks me up! The taste/texture of a fried doughnut in baked doughnut form? I’M SO THERE. I FINALLY bought a doughnut pan at Christmas so you better believe I will be making these. Thanks Tracy! I really wanna try this recipe – plus some of the other doughnut ones you’ve posted. Is there a way to make these without the special doughnut pan??? 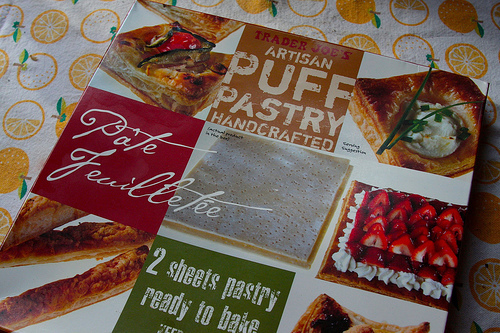 I’ll echo that thought – What would be some interesting ways to make these without a special pan? Can you handle the dough easily enough to make shapes? Probably not. The dough is wet. Just make muffins! You can use a muffin tin, easily. so excited for this recipe, i’ve been waiting for it since you mentioned it on the podcast! i think these may be in order for my valentine’s breakfast tomorrow. 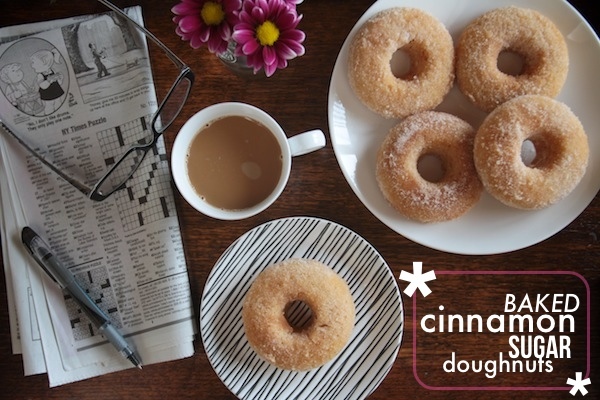 I was just thinking that cinnamon sugar baked doughnuts would be wonderful! Thanks for the recipe. I’ve never had a baked donut, don’t have a donut pan. Have you ever tried them in a muffin tin? I just bought a doughnut pan yesterday, perfect timing! WOW! They look so spongy and soft and warmmmmm! 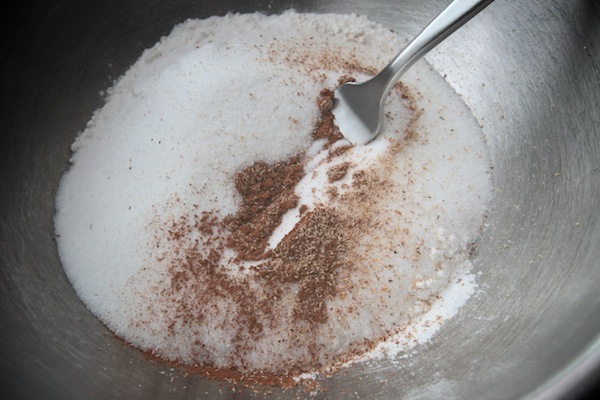 Cinnamon-sugar is my favorite topping and baking them definitely works with how I live and cook. My blog readers would kiss me and give me a crown if I gave them something like this! Tell me I’ve lead a sheltered life (or maybe things are just a little different in the UK?!) but I’ve never heard of baking donuts! I so need to try this! At a bakery, I recently ate a donut that didn’t taste like a donut. I figured it was a baked one and that it was just a little cake with a hole in it. My boyfriend also just bought me a donut maker (like a waffle maker; boy didn’t know about the pans…), and I now have this fear of baked donuts not tasting like donuts. 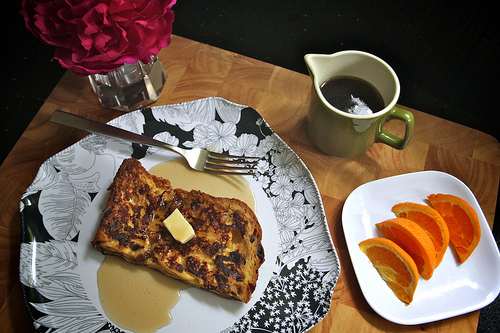 And then I went to your blog and this was the first thing and the exact recipe I was looking for. Bam! It was meant to be. My first-ever batch of homemade doughnuts is in the oven. My house smells glorious. 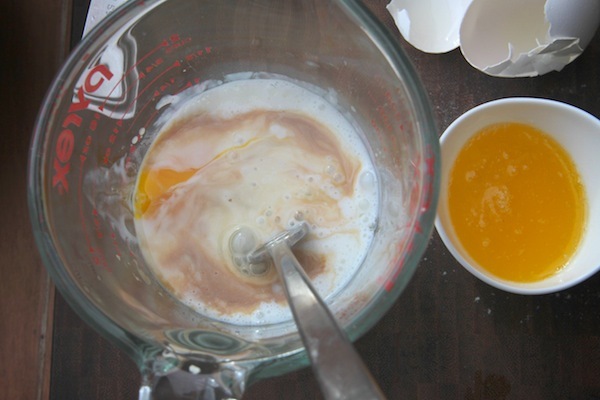 Putting batter into the pan wasn’t easy — they look messy and overfilled. That just means I’ll have to eat all the evidence before anyone comes home. Hey girl! We totally eat alike. I made these donuts as well from Barefoot’s new cookbook. I actually received the cookbook for Christmas and whipped these up the next day for the kids. They loved them almost as much as Donut Alley (which is saying a lot). I have yet to put up my post on them. I halved the recipe like you the first time, but then they went so fast that I kept the original amounts the next time I whipped them up and just cooked up 2 batches. Ok, question for you, didn’t you think the photo in the cookbook was edited quite a bit (hmmm.. a lot) or a different donut entirely? Your’s look like the real thing. I mean baked donuts just don’t have that dark brown crispy look, they look kind of bland till you doctor them up with the sugar! Great job on these and love the closing photo, it totally sets the mood! BTW, have you tried the kale salad from the True Food’s book yet? We totally do. It’s hilarious. Must be a Leo deal. My friend used to work at Donut Alley when we were young. Love that place. The photo in the cookbook has more cinnamon on it. I also think they wanted them to look more baked. I can kind of see why- it makes them more contrasty! Haven’t tried the kale salad, I suspect it’s a lot like the Tuscan Kale Salad I’ve made before. I’m sure I’m gonna eat the heck out of it! I can’t wait to try this tonight! My brother,so sweet, got me a Babycakes doughnut maker for my birthday and I have yet to test it out. Yummmm! Tracy, do you know how to store or how long these can last (assuming they are all not eaten immediately)? I think they should hold up for at least a few days at room temp. You want to keep them covered, of course! And you might want to freeze them if 6 is still too many for you. These, and all of your donuts, look amazing! I can’t believe they are baked not fried! Tracy, all of your doughnuts are amazing. I love them all and will be trying this recipe sometime soon. I do have a question: if I find a recipe for 12, can I literally cut it in half for a smaller portion? Or different ingredients get cut differently? Thanks. I was hoping these would not be as good as your chocolate donuts, but they are so good. I’ve eaten 3 today. Now, I have 2 great donut recipes. Thanks for sharing. Wow!! You made them already??! GO YOU! So glad you made these! I’ve been looking for a less cake-y baked donut! These look glorious. I could easily polish off all 6. I love the first pic with the crossword puzzle! These taste like churros! So yummy and super good dipped in coffee. Oh my, oh my, oh my. That top pictures is what my dreams are made of! 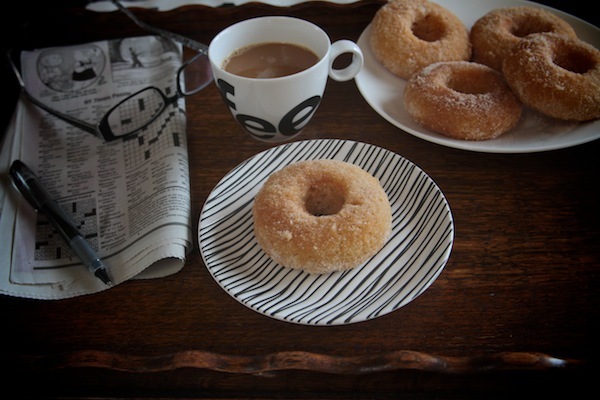 NYT crossword, coffee and homemade doughnuts. You’re way great. Can’t wait to try these! I absolutely bought a doughnut pan because of you. So fun. Folks, I can give you my honest opinion on these doughnuts ….. they ROCKED!!! I was lucky enough to be a taste tester, and all it did was leaving me wanting more!! You are a genius! Definitely going to make these! 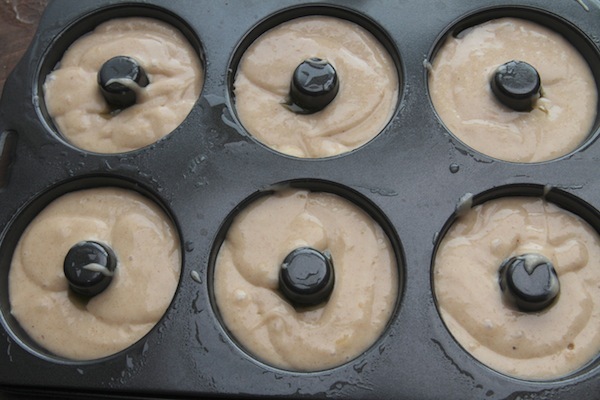 This recipe is similar to the doughnut cupcakes I made last year! Same batter, only in cupcake form, and the top is dipped in butter then cinnamon sugar. Yes, they were great! All I can say is YUMMMMMMM! Can’t wait to try this recipe, you’ve inspired me! So, I guess I am dumb and always wondered why my hot out of the oil doughnut had trouble with sugar sticking to it. Hmmm… I needed some butter! Duh! But frying is so time consuming and dangerous, I need to stick to baking. 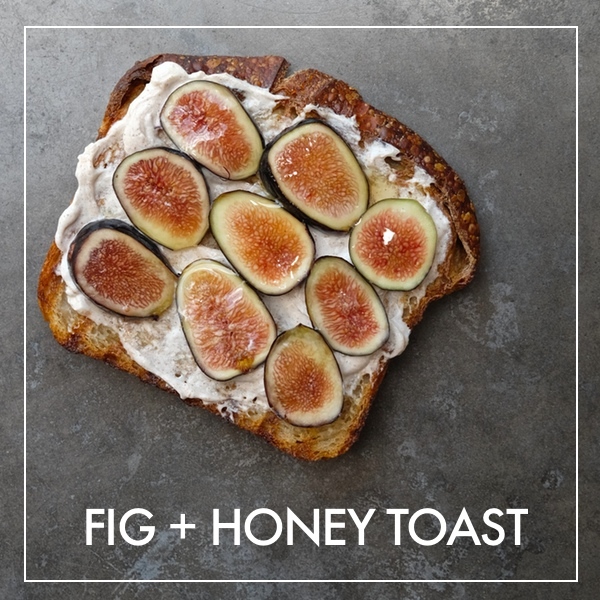 Beautiful and simple recipe. Oh my YUM. Goodness. 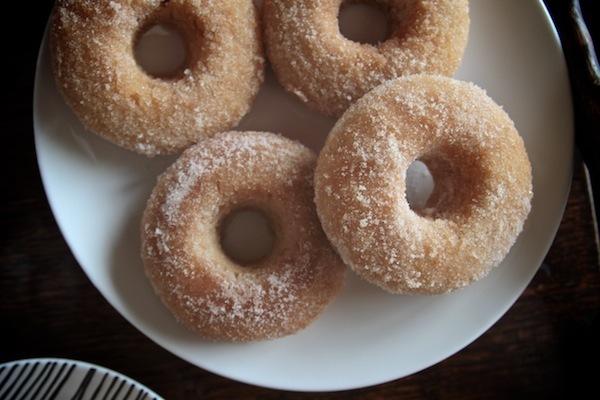 These sound perfect, as cinnamon-sugar donuts are my favorite from the donut shop… and I am beginning to think I *need* a donut pan. It’s totally justifiable with all these decadent donut recipes I’ve been seeing around the internet recently, right? I made these this morning as a Valentine’s Day breakfast surprise for my husband, we both loved them! I’ve been looking for a really good dense cake doughnut recipe for a while now, so glad I tried this one out. I think the buttermilk really makes these guys. I love doughnuts but I always feel guilty when I indulge in this fried treat. 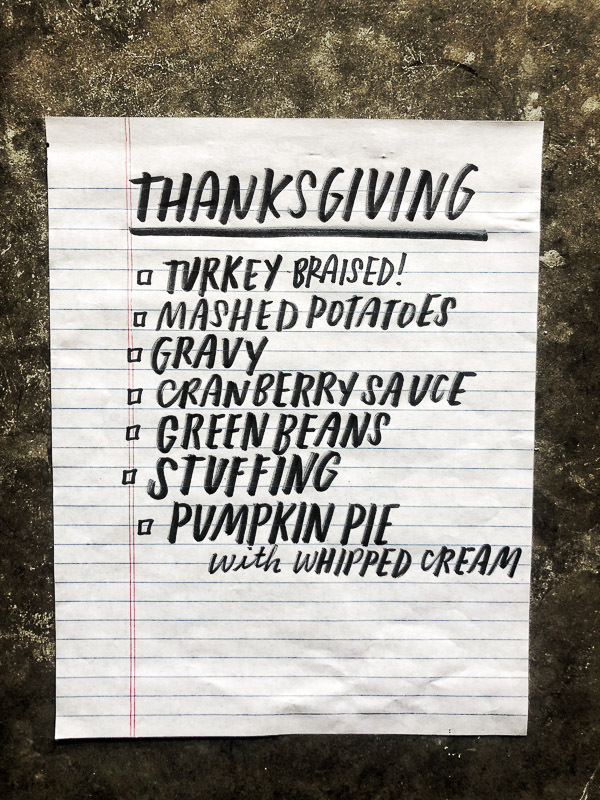 This baked version is going to allow me to enjoy guilt-free! Did you buy stock in doughnut pans? You should have! You are killing it–both the pumpkin and espresso recipes have been great. Thank goodness I don’t have a doughnut pan. These look fantastic! I think you are single-handedly helping this doughnut pan move up in sales rank on Amazon. I love how your recipes are always for 6 donuts because that is as much as I can handle and I only have one pan so its perfect. I was curious about this affiliate program that someone mentioned. I found a link if that helps! Awesome! 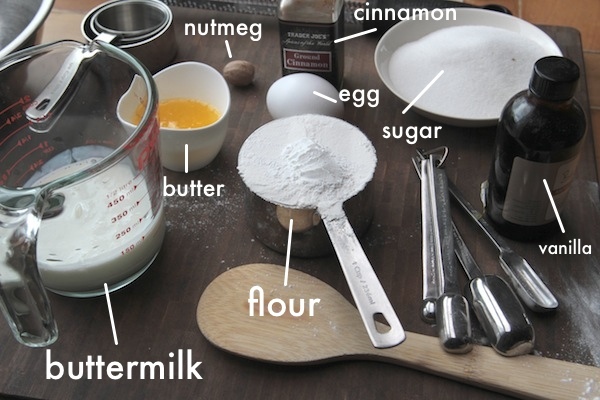 It’s helpful for me to know what kind of baking tools you’ve tried and like. It makes me more likely to buy them. Yes yes and yes. Times one trillion. The cinnamon-sugar coating is gorgeous, it looks so crispy and sweet and fantastic. I love your commitment to baked doughnuts, they are rockking my world! I need to order a doughnut baking tray right now. By the way I love your blog Tracy. 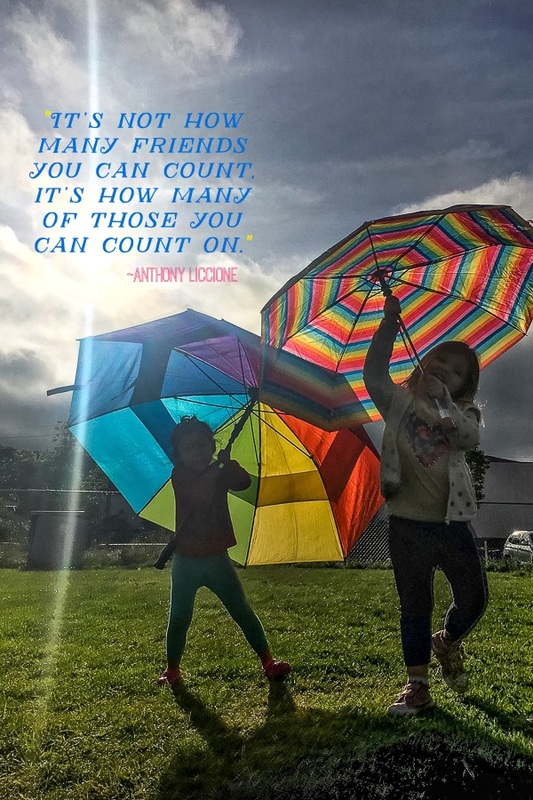 I only found it a couple of weeks ago when I discovered your podcast with Joy (which I am slowly getting up to date with – think I have about 60 more to go until the current one). So the podcast and all your recipes are making me very happy right now – definitely inspiring me to be more adventurous with ingredients. I have the feeling once I try this I won’t be able to stop. Just made these this morning – they are AMAZING!! I prefer baked doughnuts vs fried. There is none of that hot grease to deal with. Can’t wait to make these! I’m SUPER hungry for these. I dough nut know how I can live without them! Got my doughnut pan today. Cannot wait to start working my way through all your doughnut recipes!! And, of course, eating them. 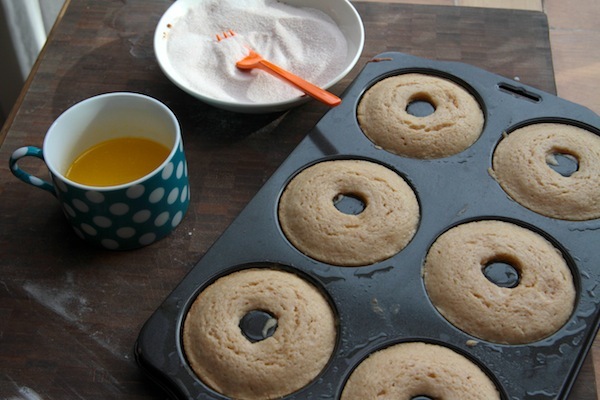 I tried these today…except I have a mini doughnut pan. I think that no one should ever buy the mini… They are hard to get the right amount so my doughnuts are more like mini muffins with a weird bottom. Since I had extra batter, I used individual bundt pans and that actually worked quite well in case you don’t have a regular doughnut pan! Having been lucky enough to sample one of these, I can definitely say they are as good as fried without the guilt! Need to buy donut pan stat! These are so wonderful! I made a double batch of them for my boyfriend and his family last weekend and they loved them! 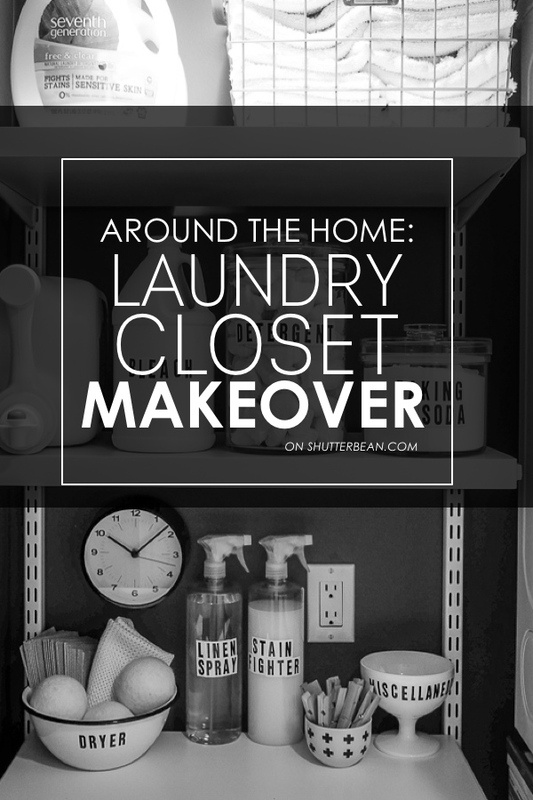 This will definitely be a recipe I use over and over again! Thanks Tracy! After looking at the many amazing doughnuts on your website, I did it. I went and bought myself a doughnut pan. May I just say… these doughnuts are amazing. But I only managed to devour one because my partner called dibs on the rest and they were gone within a couple of hours! 2. dibs?? don’t you get dibs for making them?? You’re starting your Friday list early for me! Which is cool cause it’s totally Friday here in Sydney. 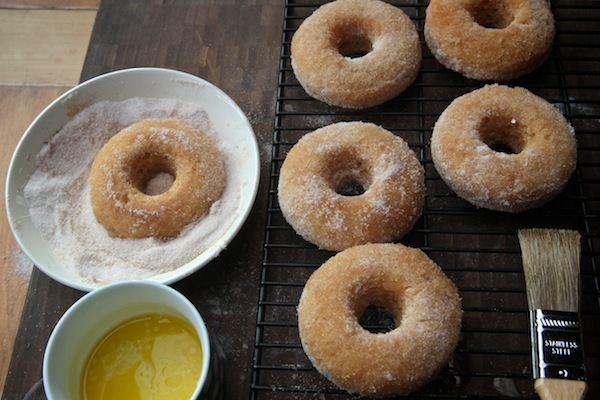 I used this recipe this morning to make doughnuts for my wife, who is 7+ months pregnant and craving cinnamon and sugar goodness. We’ve had the doughnut pan sitting in the cupboard for months and hadn’t used it yet. This was the perfect opportunity. The doughnuts were great and completely satisfied the craving! Thank you so much for this recipe!! I am going to be a HIT at parties forever now! Ok, had to make a few adjustments as my husband has to watch his sugar intake but won’t give up his donuts. For the dough, I combined raw sugar with Splenda mixing it about 1/2 & 1/2 & for a full batch reduced it down to about 1 c total, & substituted olive oil for the melted butter. Since he likes plain donuts anyway, I eliminated the butter & cinnamon/sugar coating. Even with these adjustments he said they …”were the best donuts he ever tasted”… I have to admit, at first I was a little disappointed in them but they really grew on me. Now I can’t imagine going back to fried or store bought donuts. Since I only have 1 donut baking pan, I dug out my cast iron biscuit pan to make a full batch of 12. Need to watch the timing with that, as they came out a little dry but other than that – they were awesome. Can I use milk or half and half instead of buttermilk? a good sub would be yogurt! Just made these. First of all, crazy awesome, thank you! My only modification was to sub yogurt thinned with a bit of milk for the buttermilk. They overflowed the donut pans and spread like whoah, and that was even after I filled up 5-6 mini muffins with extra batter. I’m wondering if the yogurt sub somehow gave it more volume or if the extra batter was due to a difference in donut pan capacity. They were still super yummy, just a little homemade looking! I also tried out the butter/ sugar dip & decided they didn’t need it because they’re sweet enough already. Thank God I was making these to share with a couple other people! I don’t think I possess enough self-control to stop myself from eating more than two otherwise. These were unreal. SO good. Tracy, these doughnuts are amazing! In honor of national doughnut day, I made these a few days early. Next time I’ll have to double the recipe because there’s no way the batch I just made will last til Friday, lol. Serliously, delicious. OH!!! Fabulous! They’re addictive, huh?! These turned out wonderfully and 6 was the perfect amount for…err…two people! Hey Tracy, thanks so much for this recipe! It’s been my go-to for the mini doughnut pan for years, and just made them again this morning… and always comes out great — best baked doughnuts by far. Miss listening to you and Joy. Yes I was one of the few male listeners out there after my wife started it up. Such a great recipe, I can almost smell it from my computer screen! 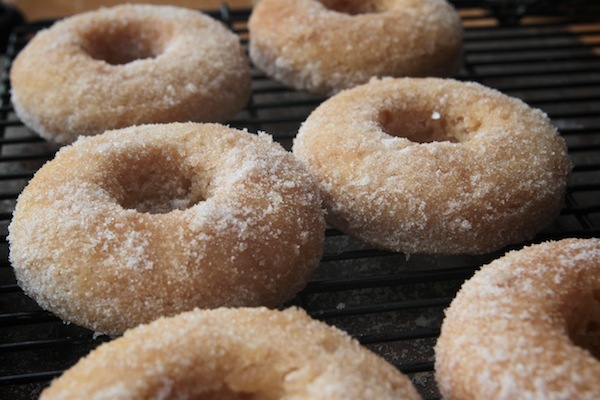 Thank you for sharing this amazing recipe for cinnamon sugar doughnuts, delicious! Finally got around to trying these today. It’s a super simple recipe and they taste like a deep fried cinnamon doughnut. So delicious and made ten all up, My pan must be very mini sized compared to yours. Now to try and figure out a vegan version for my 2 daughters, who were very disappointed that I hadn’t included them.